Your full-service Ocean County furnace repair and maintenance contractor since 1999. We are a family-owned and operated company that has been providing the LBI area with unmatched HVAC service since 1999. That sort of longevity doesn’t come from doing anything second-best. Since the very beginning, we at Air Tech have strived to be the best in delivering HVAC services throughout Ocean County. 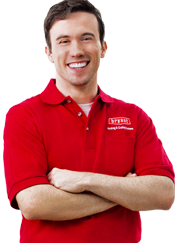 All of our HVAC technicians are NATE and EPA-certified and have decades of combined experience. Together, we work hard to provide our customers with unequaled service and ensure top quality work, done right the first time. When the LBI-area needs furnace repair and maintenance services, they call on Air Tech. When it comes to your furnace, we take care of everything that many homeowners and business owners don’t know they even need. Your furnace, like all mechanical systems, require regular tune-ups and preventative maintenance checks to perform at maximum efficiency and extend longevity. Neglecting furnace maintenance is where most homeowners run into trouble. The Air Tech technicians will take the time to inspect and test your furnace, looking over all equipment thoroughly to ensure everything is not only functioning properly but also as efficiently as possible. As LBI’s most trusted contractors, our NATE-certified technicians have vast experience in both residential and commercial furnace maintenance. If your furnace is malfunctioning, you need it fixed right away. That’s why our residential and commercial service is available 24-hours a day, 7-days a week. 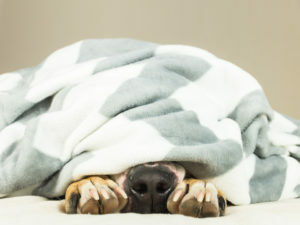 Whether it’s 2 a.m. on a weekday or 2 p.m. on a holiday, rest easy knowing you can give us a call and we’ll dispatch a team of NATE-certified HVAC technicians to quickly and honestly diagnose your problem. We deliver the highest level of service — service that our LBI customers have come to know and count on. We’ll work on getting your furnace back up and running as quickly as possible. No matter the time of day (or night) or the size of the repair, once the issue has been identified, we provide our customers with cost-effective solutions to fix it. Fast. Remember, the average life expectancy of a furnace is 16-20 years. But, as always, your best bet is to call a professional furnace contractor to inspect the problem and assess whether your until should be repaired or replaced. Why do LBI residents continue choosing Air Tech? It is our dedication to quality work that makes us the top choice for furnace installation, repair and maintenance. Looking for a reliable furnace repair and maintenance company to handle your home or business heating needs? Get in touch with your local HVAC experts at Air Tech Heating, Cooling and Plumbing for a free, no obligation, in-home estimate.